This special issue will be a collection of original research highlighting progress in the field of ocean acidification and presented at the 4th International Symposium on the Ocean in a High-CO2 World in Hobart, 3–6 May 2016. Topics will include changing oceanic carbonate chemistry, biological responses and ecological impacts, and studies will represent advances in both observational and modeling approaches. All symposium participants are invited to submit original research presented in Hobart to this special issue. Absorption of carbon dioxide (CO2) realized by humans is decreasing the ocean pH (ocean acidification). Single-celled organisms (microbes) support the Antarctic ecosystem, yet little is known about their sensitivity to ocean acidification. 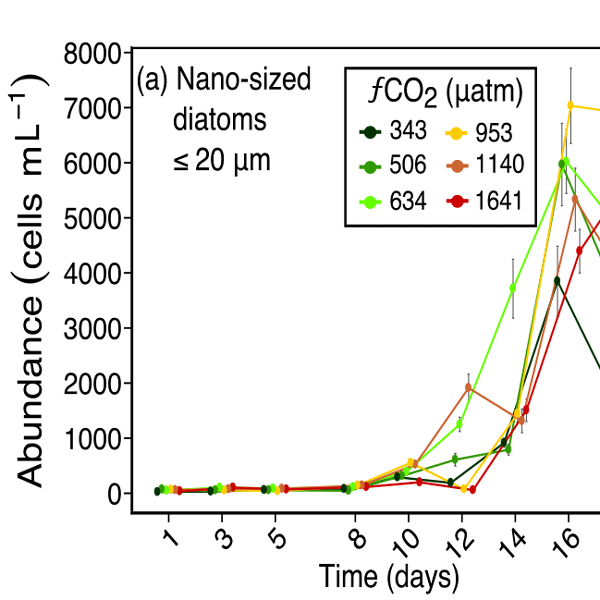 This study shows a shift in a natural Antarctic microbial community, with CO2 levels exceeding 634 μatm changing the community composition and favouring small cells. This would have significant flow effects for Antarctic food webs and elemental cycles. We show climate–carbon feedbacks accelerate and enhance ocean acidification. Such an acceleration of ocean acidification may further undermine the ability of marine biota to adapt to the changing environment. Our study also identifies the need to use Earth system models to make future ocean acidification projections (relevance to AR6) and the need to reduce the uncertainty in the climate–carbon feedbacks. 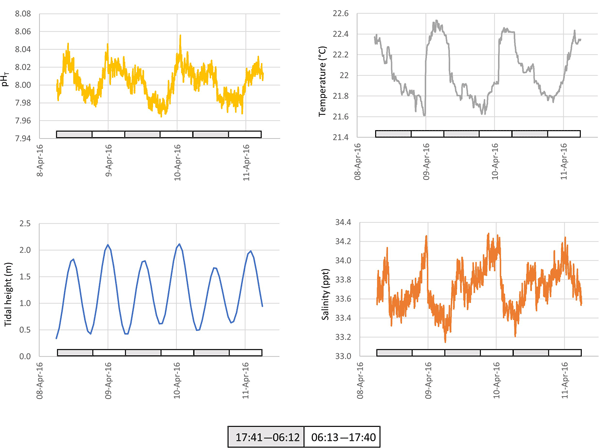 We examine the effects of elevated CO2 on bacterioplankton community during a mesocosm experiment in subtropical, eutrophic coastal waters in southern China. We found that the elevated CO2 hardly altered the network structure of the bacterioplankton taxa present with high abundance but appeared to reassemble the community network of taxa with low abundance. Results suggest that the bacterioplankton community in this subtropical, high-nutrient coastal environment is insensitive to elevated CO2. We present the first large-scale survey of planktonic biogenic carbonate concentrations south of Australia, accompanied by biogenic silica and particulate organic carbon. These suggest that coccolithophores are largely restricted to subantarctic waters and are present in much lower abundance than in Northern Hemisphere polar waters. Comparison to upper ocean properties suggests that thermal tolerance and competition with diatoms for limiting iron may be as influential as ocean acidification. The carbon content of the water masses of the Southern Ocean south of Tasmania has increased over the period 1995–2011, leading to a general decrease in pH. An enhancement in the upwelling of DIC-rich deep waters is the main plausible cause of the increase in carbon in surface waters south of the Polar Front. North of the Polar Front, strong winds favor the ventilation of surface to intermediate layers, where the DIC increase is explained by the uptake of atmospheric CO2.